The community of Mount Shasta is blessed with incredible views of its namesake mountain from nearly every part of town. It is commonplace to see people stopped along roads and highways taking pictures, visitors to the downtown area gazing up at the towering heights and folks sitting and relaxing while enjoying the incredible views. 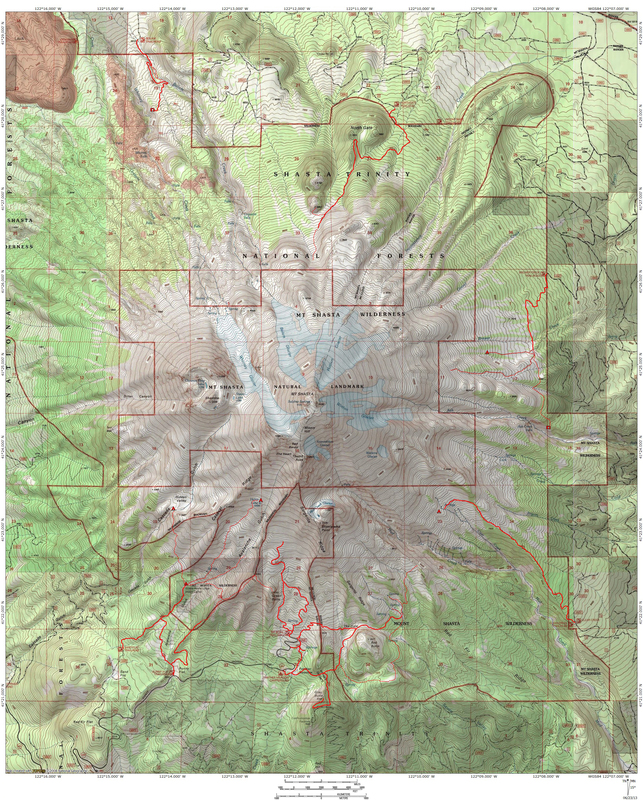 There are many great hikes and short in and around town that can be quickly accessed from anywhere in town. 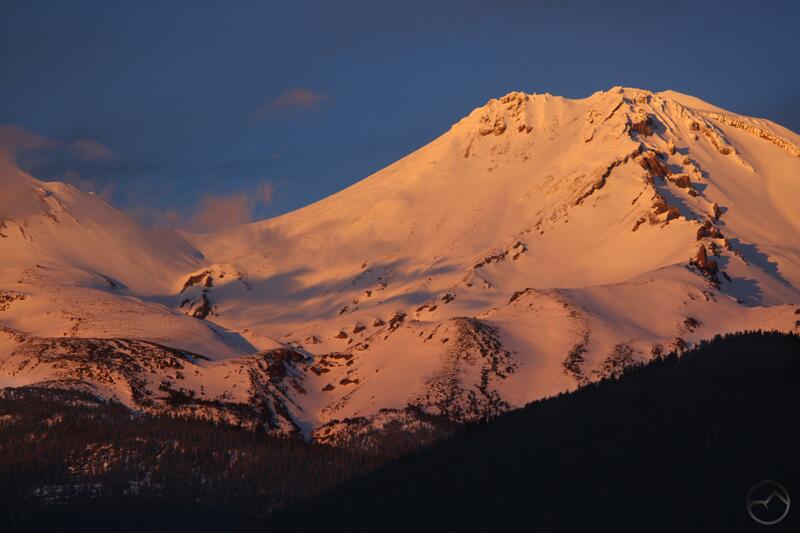 One of the great pleasures of being in the Mount Shasta area is enjoying the incredible sight of the setting sun casting alpenglow on the magnificent mountain. Teddy Roosevelt once remarked “I consider the evening twilight on Mt. Shasta one of the grandest sights I have ever witnessed.” It certainly is an incredible spectacle. One of the most pleasant places to enjoy a relaxing stroll and watch the sun set on the mountain is from Sisson Meadow. Just east of downtown, it is a beautiful meadow watered by spring-fed streams. A boardwalk winds its way through the meadow. The path is punctuated by occasional benches that are strategically located so the great views of the mountain can be enjoyed at leisure. You can read a bit more about the path here. This afternoon I took my kids out for a walk in the meadow. They love running on the boardwalk, exploring the creeks and watching the ducks in the small pond. While we don’t always go at sunset, this seemed like a good day to watch the sun set and let the kids enjoy the crisp, cold air. As always, they had a great time. For those with little kids, the path through Sisson Meadow is a great place to get outside and enjoy some great views. I have enjoyed that walk very much myself – thank you for the beautiful reminder.